Cognitive deficits are a common complication affecting about one-third of kids who have the higher risk sickle cell disease genotypes, HbSS and HbSβ0 thalassemia. While such deficits have been well-documented, no treatment has been proven to recover cognitive function for kids with sickle cell disease. 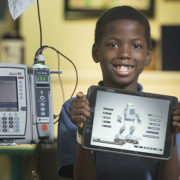 Sickle cell disease is a group of red blood cell disorders in which abnormal genes that children inherit from parents cause their bodies to make sickle-shaped hemoglobin S. Kids with sickle cell disease are at heightened risk for neurocognitive deficits, which can have practical implications for their ability to learn and to succeed academically. 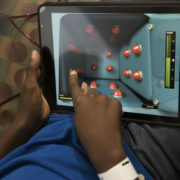 Because home-based computerized cognitive training programs have helped to improve working memory (WM) for children with epilepsy and for childhood cancer survivors, a team led by Children’s National Health System researchers and clinicians sought to gauge the feasibility of using such an approach for a small number of children with sickle cell disease. The pilot study found that girls were more likely to complete the cognitive training exercises than boys. 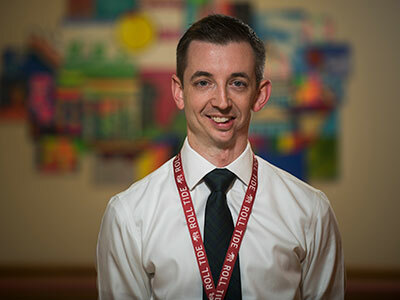 Additionally, children whose teachers showed a high level of support spent more time working on the exercises, completed more sessions, and were more likely to finish the program. The mean number of completed sessions was 15.83. Participants who reported experiencing fewer functional limitations as a result of sickle cell disease-related pain completed more sessions. Overall, children who completed Cogmed exercises showed improvements in verbal WM, and visuospatial short-term memory and WM. 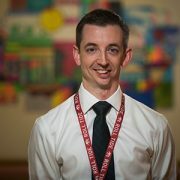 Q: Because sickle cell disease is often accompanied by sudden attacks of severe pain, would concurrent delivery of pain-management interventions impact children’s ability to complete cognitive training exercises? Q: Would adding functional magnetic resonance imaging help to clarify the association between adaptive cognitive skills training and changes to physiological processes, such as alterations in prefrontal and parietal cortical activity, and functional connectivity? Source: S.J. Hardy, K.K. Hardy, J.C. Schatz, A.L. Thompson, and E.R. Meier. 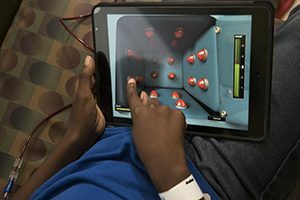 “Feasibility of Home-Based Computerized Working Memory Training With Children and Adolescents With Sickle Cell Disease.” Published online by Pediatric Blood & Cancer May 26, 2016.